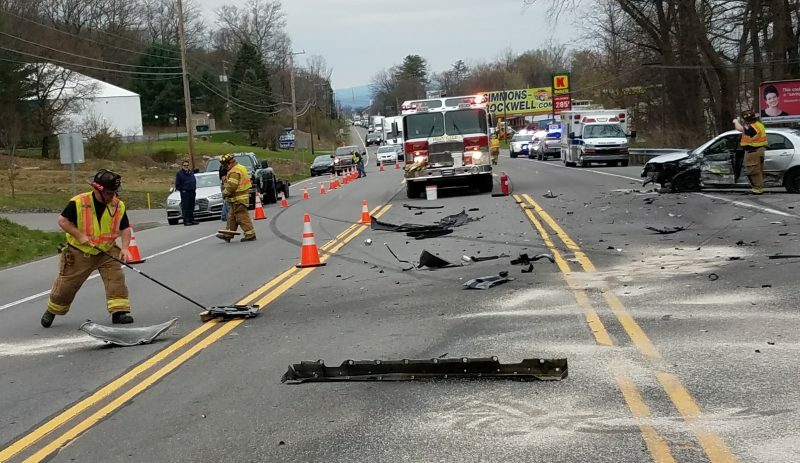 The driver of this sedan was being treated at UPMC Susquehanna Williamsport Regional Medical Center for injuries he suffered late Saturday afternoon in a crash on Quaker Hill Road in Hepburn Township. 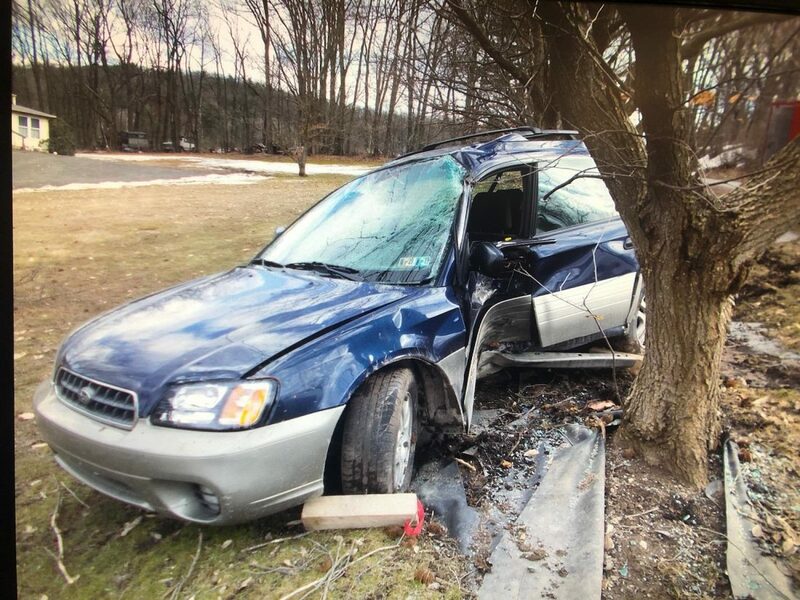 Old Lycoming Township police and Hepburn Township volunteer firefighters responded to an accident in the 1700 block of Quaker Hill Road in Hepburn Township, where a car driven by Christopher Thomas, 24, of 3198 Northway Road, slammed into a tree about 4:20 p.m. Saturday. Thomas left the scene and hiked about a mile away to a home on Pleasant Hills Road, where residents helped him and notified police. “He was covered in blood. He had serious facial injuries and head lacerations,” Old Lycoming Township Patrolman Kenneth Brown said of Thomas, who was being treated at UPMC Williamsport.